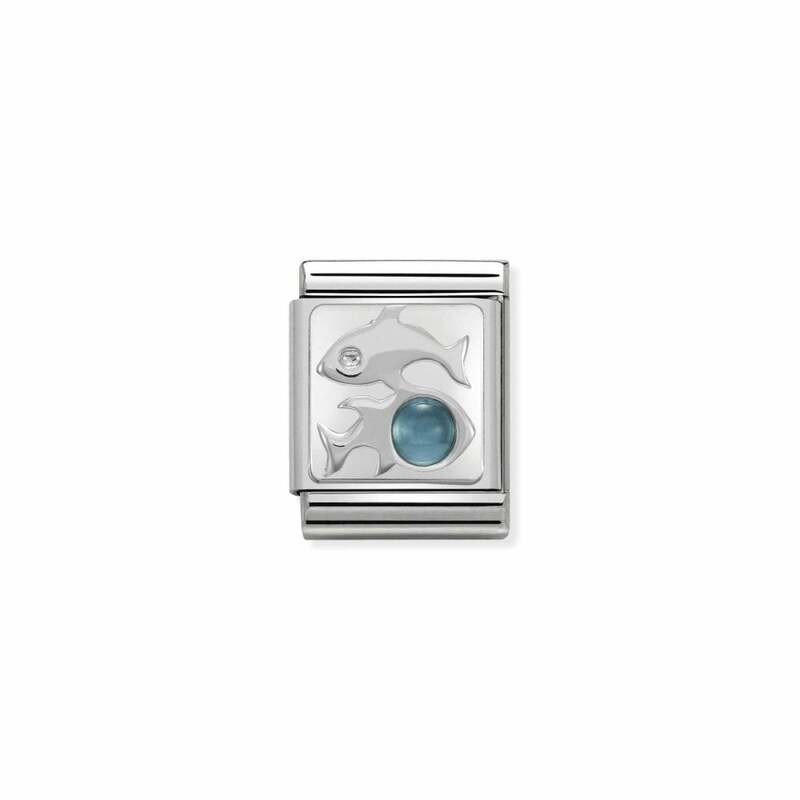 A steel and silver charm with a blue topaz Pisces sign. A perfect gift for someone who was born Feb 18 – Mar 20. Comes with official NOMINATION packaging and 2 year warranty.